The line-up for a special gala concert celebrating the fifth anniversary of Top Choir Kent, organised by the Rotary Club of Canterbury, has been announced. The event on Saturday 28th March, 2015, at the Shirley Hall in Canterbury, not only promises to be an exceptional celebration of Kent singing, it will also ‘Help’ mark a very special musical anniversary. The Gala Concert will be compered by BBC TV presenter, Bryony Mackenzie. To visit the Top Choir Kent Website and see the 2015 programme, click HERE. 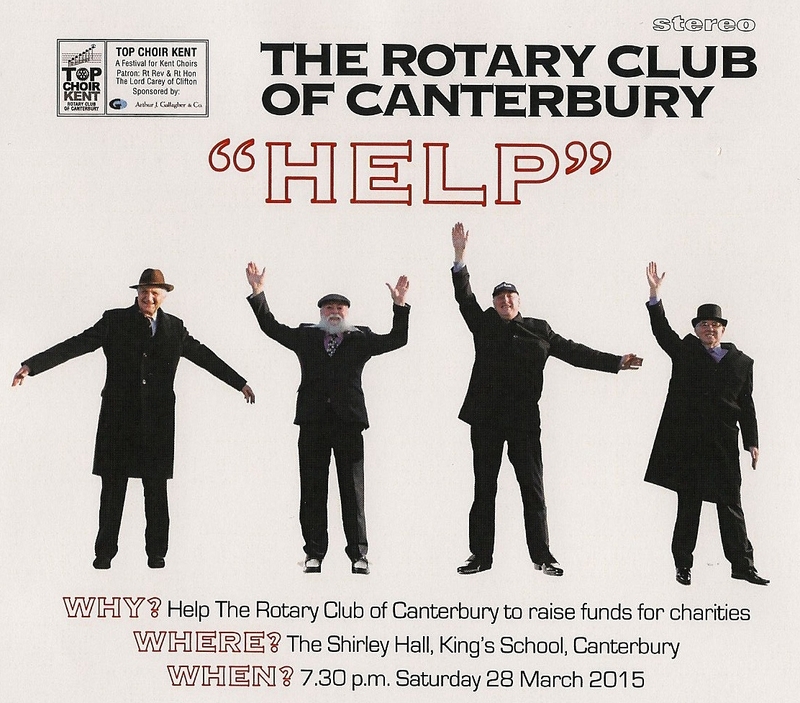 Since 2011 this series of competitions has raised over £6,500 per year for charities that the Rotary Club of Canterbury supports.